In golf years, the Talon Course at TwinEagles is still a relative youngster. But the 15-year-old co-design by Jack Nicklaus and Jack Nicklaus II has become a well-entrenched veteran on the Champions Tour, with ample praise coming from its main critics — the players who make up the PGA Tour’s senior circuit. TwinEagles will host the ACE Group Classic this week, bringing the best in senior golf to Naples for the eighth time. It is also the ninth tournament overall for TwinEagles, which welcomed the Father-Son Challenge in 1999, won by Jack Nicklaus and son Gary. This year’s field includes eight World Golf Hall of Fame members, including defending champion Bernhard Langer, Hale Irwin, Tom Kite, Colin Montgomerie, Larry Nelson, Nick Price, Curtis Strange, and Tom Watson. The 2014 ACE Group Classic will air live on the Golf Channel. Scheduled broadcast times are Friday, Feb. 14, from 2:30-4:30 p.m.; Saturday, Feb. 15, from 3:00-5:00 p.m.; and Sunday, Feb. 16, from 3:00-5:00 p.m. All TV times are Eastern Standard Time and subject to change. The record book lists Kenny Perry’s 20-under par in 2012 as the lowest winning score at TwinEagles, but just a year ago when Bernard Langer won at 12 under, the course was ranked as the 10th most difficult on the Champions Tour that year. The field averaged 72.414 on the 7,193-yard, par-72 layout. The players enjoy TwinEagles because of the generous fairways, perfect greens and a pristine practice facility and clubhouse. “The golf course has always been good, from the very outset,” said veteran Tom Kite, who has never missed playing in Naples and whose best finish was a solo fourth in 2002. “(The Nicklauses) did a nice job in designing TwinEagles and not much has changed; only the equipment makes the course play shorter. 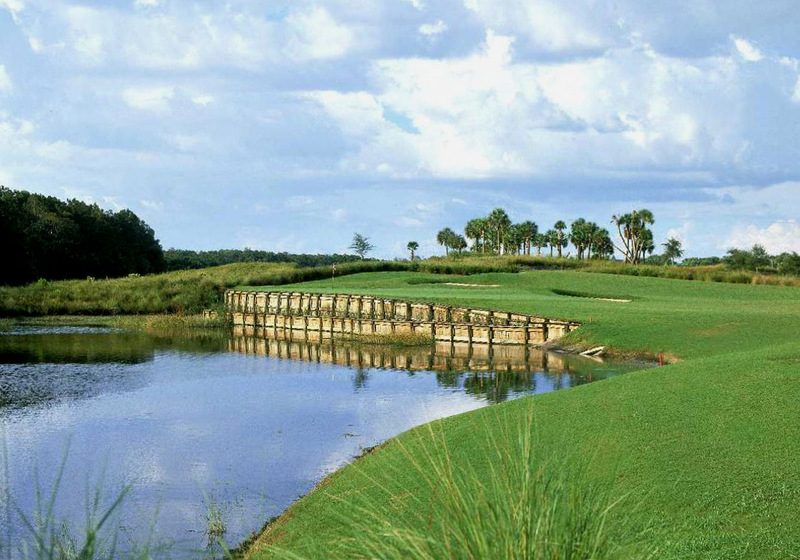 TwinEagles hosted the ACE Group Classic from 2002 through 2006, then missed five years before The Ronto Group purchased the 36-hole, 1,100-acre community through bankruptcy from The Bonita Bay Group. The ACE Group celebrated a return to TwinEagles in 2012. Loren Roberts has two ACE Group titles, including his 2006 win at TwinEagles after a 14-under-par 202. “It’s a second-shot golf course because of the wide fairways,” said Roberts, who has been nicknamed “The Boss of the Moss” because of his clutch putting over a long career. He has used the same putter since 1992 and the same putter shaft since 1985. “The greens are flat, but they can really tuck the pins close to water on a lot of holes. Tom Watson lost the first tournament at TwinEagles in 2002 on the 457-yard, par-4 18th hole to Hale Irwin with an errant shot in the water. The 18th hole on the Talon Course was the most difficult in 2013, with an average score of 4.33. It was also the second-most difficult finishing hole on the Champions Tour, ranking only behind Royal Birkdale Golf Club, site of the Senior Open Championship. The full field is below.